Delete the factory cat to complete a free flowing system for race usage. 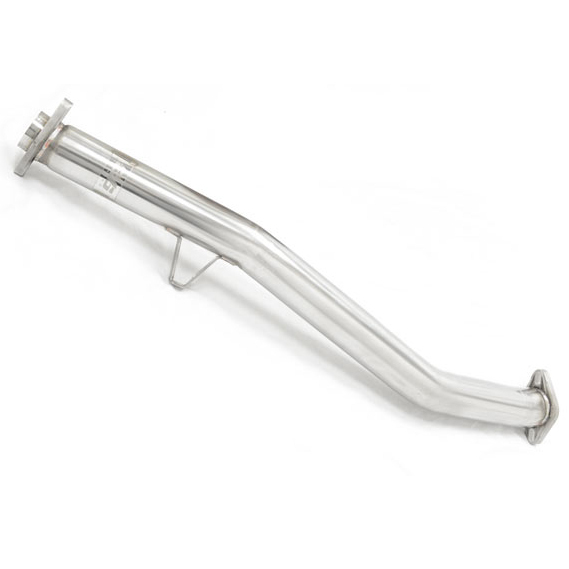 The EVS Tuning Front Pipe for the Scion FR-S / Subaru BRZ replaces the factory counter-part and removes the catalytic converter. The diameter of the pipe begins at 63mm and opens up to 70mm. It’s optimally used with the EVS Tuning SSP Exhaust System, but it can be used with other exhaust systems as well, including the factory exhaust.